Steve Sumner has been invited to speak and teach on issues and breakthroughs important to the DUI defense community. 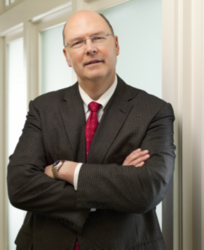 Attorney Steve Sumner, of Greenville, South Carolina, was recently asked to speak at the Charleston School of Law on the topic of "Preparing a Criminal Case for Trial." Steve delivered this address on Thursday, March 29, 2012. During the lecture Steve covered the basics of discovery and document requests, the requirements of reciprocal discovery upon the defense attorney, file organization, exhibits, potential client testimony, cross-examination, opening and closing statements and pretrial suppression motions. He provided the students with examples for their future use. Within the last year, Steve has been invited to speak in Greenville, Columbia and Charleston, South Carolina on recent developments in DUI law from the defense perspective; he taught fellow attorneys about issues in social media in a Charlotte, North Carolina seminar; and he explained what to do if stopped for suspicion of DUI in South Carolina on the Skip Church radio show. Steve has also attended SLED training and forensic toxicology training in the past year. Top-notch instruction from industry experts keeps his defense arsenal at the ready for his clients. Attorney Steve Sumner currently holds an AV-preeminent peer review rating from Martindale-Hubbell and a "superb" rating from Avvo. He is a member of the National College for DUI Defense and the National Association of Criminal Defense Lawyers.